For the record, this is the 1991 edition, printed in Lahore, Pakistan. It was a gift from a friend in Amman who was alarmed about my spiritual health. A quick browse though reviews of this translation in Google Books shows some reviewers complaining about the lack of transliteration–apparently some versions were printed with only the Arabic on one side and English on the other–and I thought the transliteration had been discontinued. But a look at this 2007 edition show the transliterations are still alive and well. Okay, alive then. 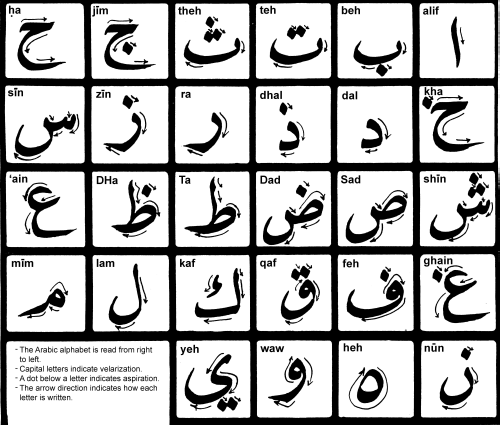 Because the transliterations don’t make much sense to me. What is interesting about this 2007 edition is not only that transliterations are back in the book, but also that the writer of the “Roman” script, M.A.H. Eliyasee, is credited. You can also see a “Key to Transliteration“, the same one as in my 1991 edition. 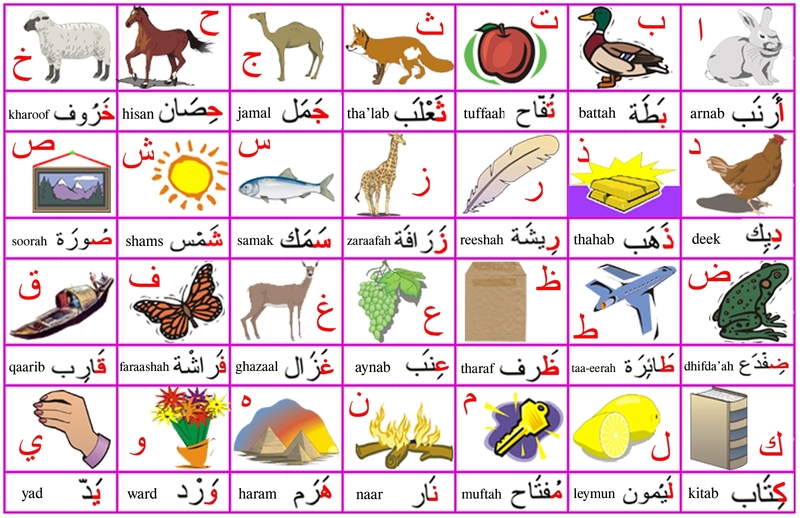 Writing Arabic sounds in English is not exactly standardized. 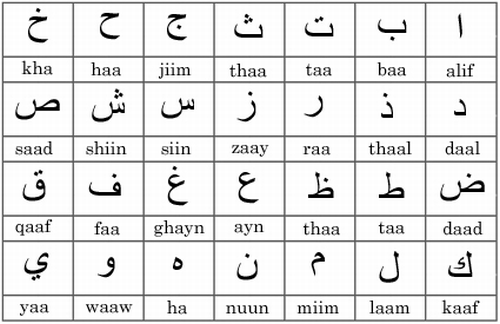 Wikipedia lists some sixteen different ways of representing the sounds of Arabic in English. (See Romanization of Arabic) “Romanization”? Whatever. I also had a fancy version of this that someone made for me and posted on the outside of my classroom door in Amman. But if you have ever been to any public meeting in an Arab country, they always start a speech by saying, “Bismillah, al-Rahman, al-Raheem”. That’s quite a bit different from the transliteration–and for a very common everyday phrase, at that. 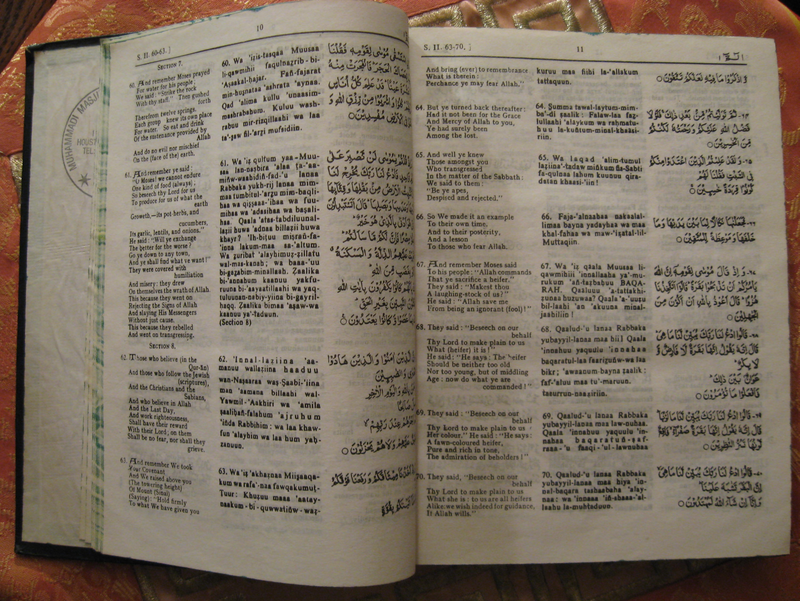 How far off is the rest of the Koran? 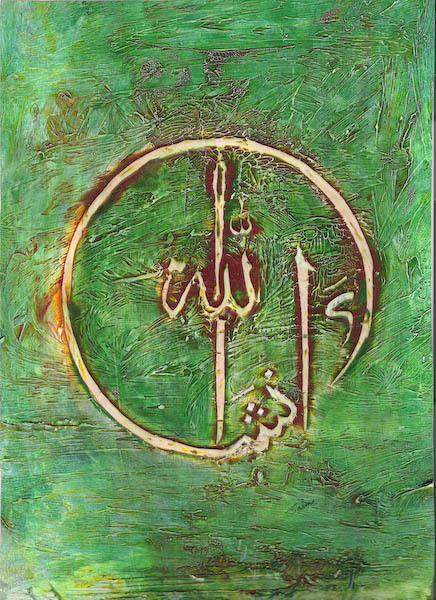 If they are so careful to preserve the Koran in original form, why are they not careful with representations of the pronunciation? See for yourself. The Koran is “recited” in different “tonal keys” (maqams) and “variant readings” (qira’at), but as I understand it, the pronunciation is always the same. To listen to Koran with a variety of voices, check out Open Quran (click the “Quran Viewer” icon at the top, then make sure the “Show Quran Reciter” box is checked). I guarantee you will hear “Bismillah, al-Rahman, al-Raheem” in all of them. Say your boss is giving you a hard time. Then, say someone who doesn’t like your boss gets promoted above her. Now your boss is reporting to someone who won’t listen to her, who won’t take her seriously or be on her side. Now you are in a position to push back on your boss because she can’t go and complain to her own boss and get action. If things were “clear” between them you would be fishing in clear water and you would not have any leverage, but because of the conflict between them, you are “fishing in unclear water” and have influence you would not have otherwise, and can more easily enforce expectations of professional behavior. Abu Huraira reported that he heard Allah’s Messenger (may peace be upon him) as saying: Nigella seed is a remedy for every disease except death. This hadith has been narrated through another chain of transmitters but with a slight variation of wording. A few weeks ago I decided to stop drinking black seed tea and go straight for the (more potent?) oil, taken on a spoon with a little honey poured over it to mask the strong flavor. 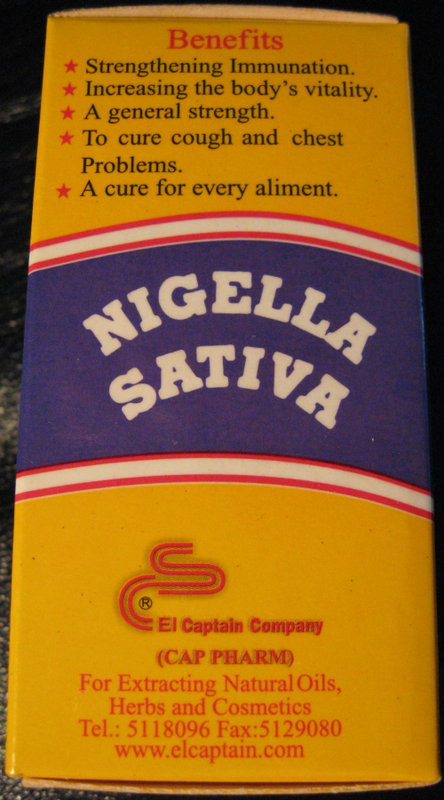 The black seed (nigella sativa) is a well known Arab cure-all recommended by The Prophet (see this post). 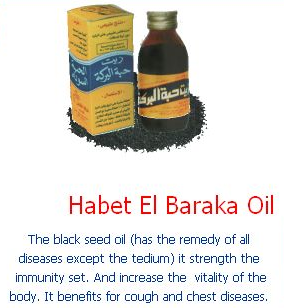 I can’t find the Arabic text for Sahih Muslim’s hadith about black seed anywhere, but apparently this Egyptian firm is working from it directly. 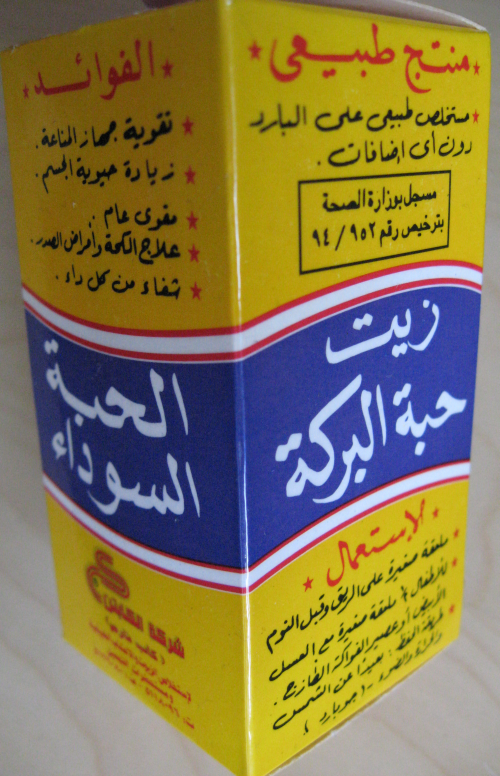 The English portion says it is “a cure for every aliment” (من كل داء ) . As if dealing with the slippery ways of English wasn’t enough, the firm’s website seems to have suffered even further from the labyrinthine ways of the western internet. The website listed on the box has been taken over by squatters demanding ransom, and not giving in to blackmail, the site’s guardians have moved it a different location, where we find the startling claim that the oil of the Blessed Seed is good for everything except “tedium”. I beg to differ. With package inserts like this to puzzle over, I’m not going to be bored to death anytime soon. How is it going for me so far with the black seed oil? Although I’m taking this to see if it will improve my breathing (I’m an ex-smoker), I seem to be losing weight, plus I find I’m not taking quite so much stomach medication. As with many dietary supplements (like glucosamine, which nobody is quite sure works, but when they stop taking it, they seem to feel worse) the results are hard to judge. For anyone who wants to try to follow the Koranic scholarship, here is a website in Arabic (via Google translate) that I found by googling من كل داء, the phrase on the box. 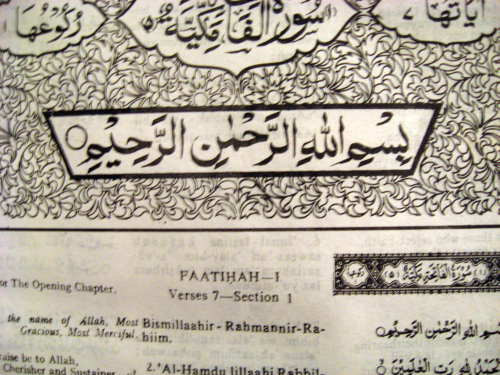 Discussions of hadith in Arabic usually give the chain of transmission as well, which is how “strong” and “weak” hadiths are determined. This website cites seven different sources for the hadith about the black seed. Abu Hurayrah [narrated by Imam Muslim from Abu Hurayrah in a book of peace door medication pill black number (2215) (but they’ve got the hadith number wrong, that one’s in Book 5)-Nij] may Allah be pleased with him that he heard the Messenger of Allah peace be upon him says: «in black bean cure for every disease but poison». Ibn Shihab said: The toxic death, and black bean Alhuniz. عن أبي هريرة رضي الله عنه أنه سمع رسول الله صلى الله عليه وسلم يقول: «في الحَبَّةِ السوْدَاءِ شِفَاءٌ من كل دَاءٍ إلاَّ السَّام». 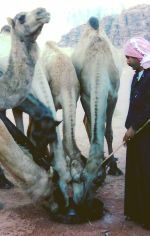 قال ابن شهاب: والسام الموت، والحبة السوداء الشونيز. 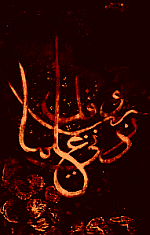 What Al-huniz الشونيز (shouldn’t it be al-shunez?) might be I can’t guess, but it must be related to both death and boredom. An interactive map, courtesy of the National Endowment for the Humanities, shows the march of Xerxes’ army. If you get stuck and can’t answer a question correctly, you are redirected to a page where you can review the history. There is also an extensive index of interactive maps, and as a bonus for Arabicphiles, a lesson plan for writing a ghazal, a bedouin form of poetry.